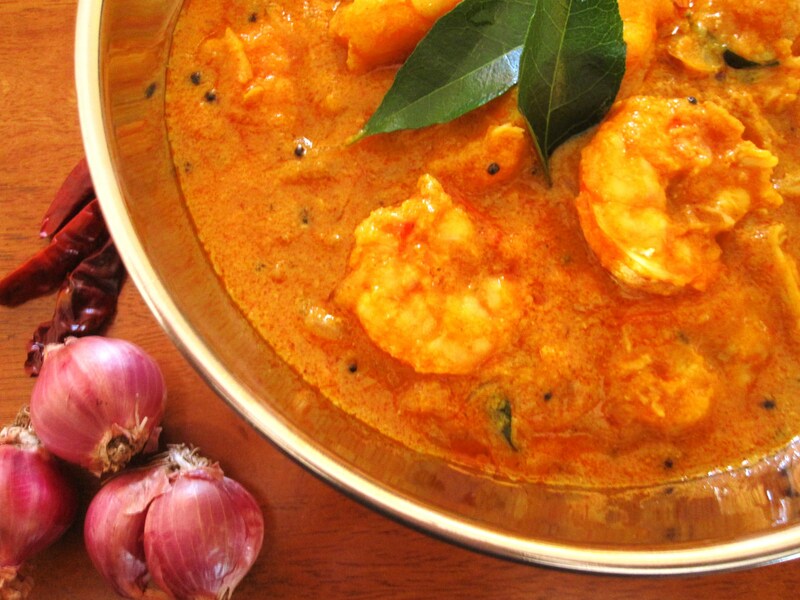 A simple, delicious and easy to make Kerala style Prawn Curry with coconut milk. Can be served with rice or as a side dish to idli or dosa too. 1. Clean and wash the prawns well. 2. Transfer to a large bowl and pour the lemon juice on top. 3. Allow it to marinate for some time. 4. Blanch the tomatoes in hot water and peel the skins. Dice them and keep aside. 6. Saute the onions and green chillies for 2 minutes or until onions turn golden. 7. Add ginger-garlic paste and stir well. 8. Add the prawns and the tomatoes. 10. Add the coconut milk and enough salt. 11. Stir well and cook for 5 minutes or until prawns are done. 12. Remove and serve with rice, idli or dosa. 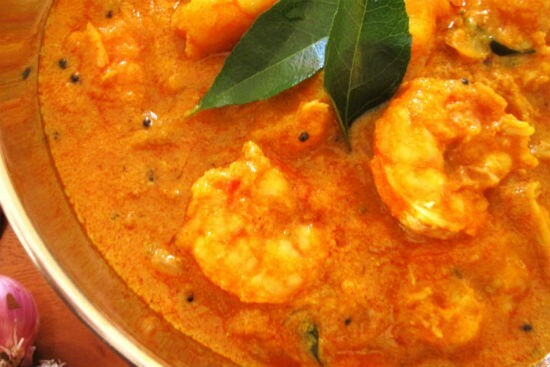 Feel free to comment or share your thoughts on this Kerala Prawn Curry Recipe from Awesome Cuisine.